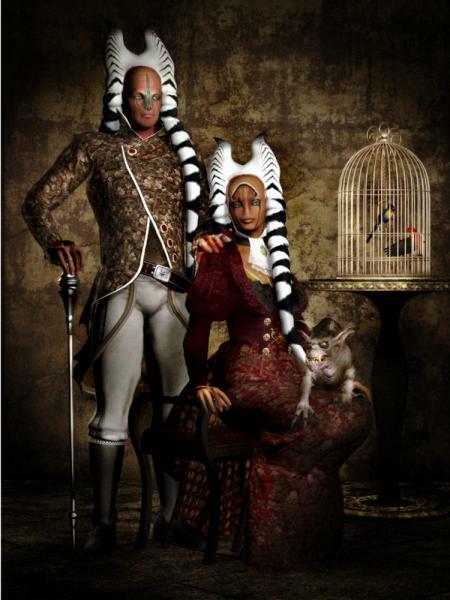 Togruta family portrait. That pet just wouldn't sit still... yeah, gone a bit Star Wars/Steampunk on this one! wow.very nice horror or scifi family portrait.